This is the home youve been waiting for! Step inside to stunning lake views you can enjoy from a tiled, screened, and covered patio perfect for entertaining. 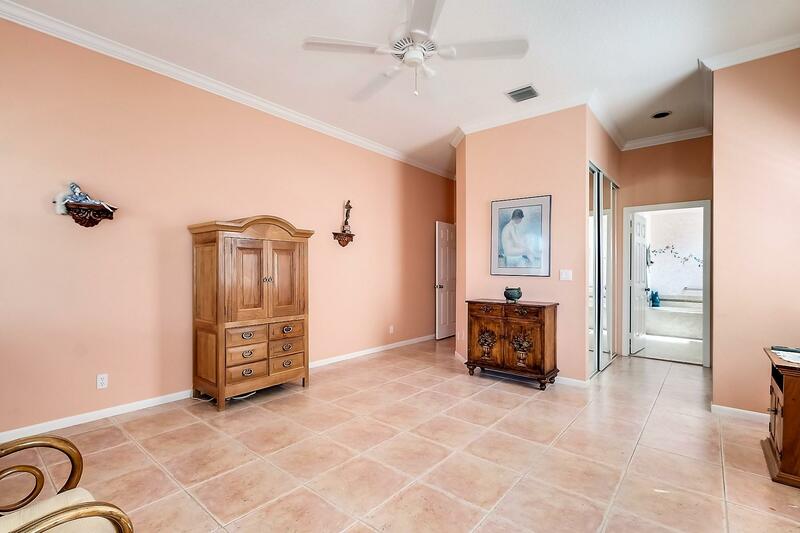 Tiled floors - no carpet - elegant crown molding in main areas and master. Kitchen boasts light cabinets with stylish granite and stainless steel appliances. Large master retreat offers tranquil lake views, two spacious walk-in closets, and dual vanities. Den can also be a 3rd bedroom. Summer Chase adult community offers a clubhouse, pool/spa, tennis, shuffleboard, exercise room, sauna, card rooms, billiards all at a low HOA fee. Gated community and located on a quiet street that dead ends into a cul-de-sac. Pet friendly up to 2 pets w/ no weight restriction. Close to the Turnpike and Wellington shops & restaurants.